These are online resources that can help, no matter where you live, plus a couple that are local to Sacramento, CA. Hi guys. It's Catherine at Happy With Baby and so thank you for being with me today. I had hoped to jump on a little bit earlier today, but as with life, things kind of got a little bit offset. So I'm a little bit late, but hopefully you will still catch this and of course on the replay and everything, but last week I was talking--I mentioned briefly about how October is Pregnancy and Infant Loss Awareness Month and that one in four women will experience a miscarriage or lose their baby. And this means that you definitely know someone, whether they're in your family or in your social social circle. I know I have had several in my own life. And so today, I want to share some resources that I turn to a lot, I rely on to share with with family members, with friends, with my own clients. 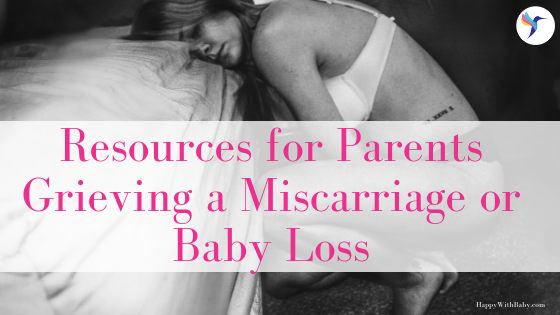 And the number one resource is Postpartum Support International and if you go to their "Get Help" page, there there's a link and it says it's specifically for grief and loss for pregnancy and postpartum. And they have a list of wonderful resources with online support, some with where you can find providers that are trained and can support moms and their partners and other family members. So lots of different great resources in there. And within that list and they also, you know, address postpartum mood and anxiety disorders, which even if you have lost your child, you can still experience a mood or anxiety disorder, as well as PTSD or--and then grief and loss, of course. And then the second one is a great resource if you follow Jessica Zucker online, she has such an amazing platform. 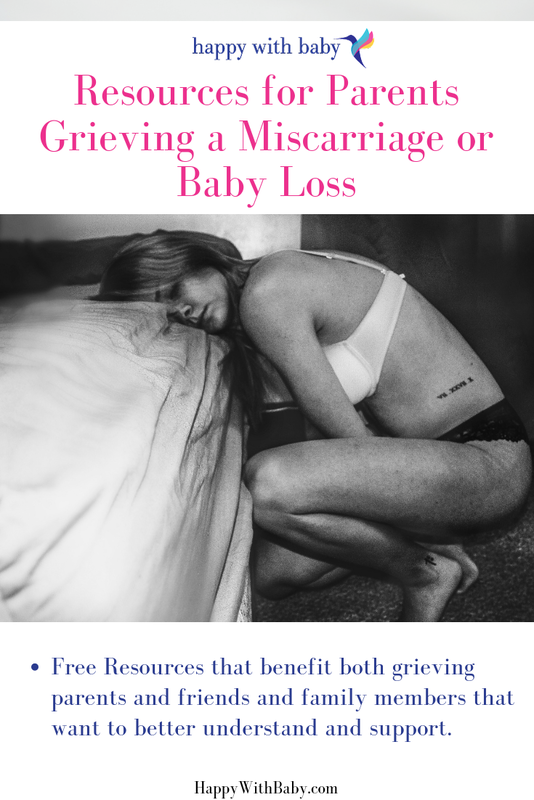 I follow her on instagram and hers is called "I had a miscarriage", where she shares stories and experiences of moms that have been through this loss, and the realities that they're experiencing, and how they're dealing with grief and loss. She also is a psychologist and a she has a YouTube channel too called "I had a miscarriage". So if you really--if you're experiencing it and you're feeling alone in your experience, definitely check her out. Or if you're really wanting to understand how--maybe your loved one is--what they're going through, check her out, guys. It's a great great resource. And if you just Google her name, there's some great articles that she's written with really help to understand where people are coming from within this loss. The third resource is--which, this one's really trying to change the culture around miscarriage and loss--is called Return to Zero and this couple that had experienced a stillborn birth shares their story. And they have a lot of amazing resources for not only providers, but parents and and family members. So many great resources. And they even have a wonderful movie [also called Return to Zero] that's on Netflix and if you--it's a tearjerker, so definitely be ready for that. And so if you're not ready, probably don't watch it, but if you're wanting to understand really the experiences and the emotions around what couples that go through a loss are, then definitely check that out. Two really great resources. And then last year, I wrote a few blogs during the month of October [see related links below], just how to support and understand where family members are coming from so--and friends. And so, it definitely is not an exhaustive list, but they--I'll share links to those as well. And then, if you are here in Sacramento, there's a great organization called Sharing Parents (and it's sharingparents.org) and they have support group for parents that have experienced miscarriage and infant loss, and they have a support line that is that volunteer facilitators and counselors answer the phone line, so you can get support between meetings. And they have events and stuff and I've had many, several friends as well as clients that have used their support and has been really a good experience for them and very supportive, and again that feeling of you're not alone in this. So another another resource is Resolve. It's the National infertility Association. 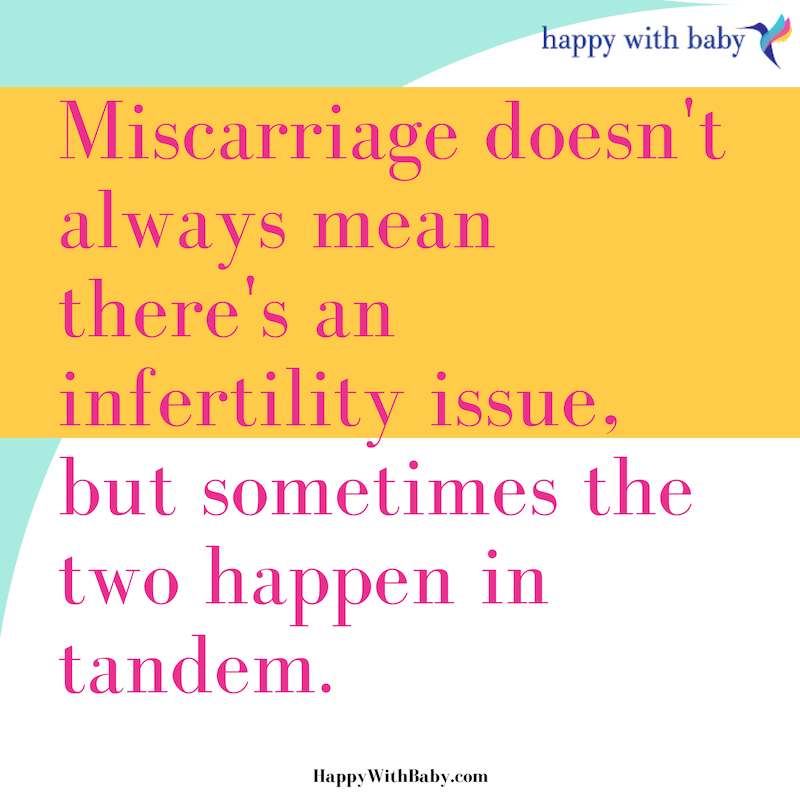 And though it's not always couples that experience loss are going through infertility, but oftentimes it can be in tandem. And they have great support groups and resource--useful resources for to look to look at and to check out, and get the support that you need to deal with the challenges and the unique experiences that you are going through. So this is definitely not an exhaustive list that I'm sharing today. These are just the ones I use the most often. I would love to hear what your resources are. What have you found that's been helpful? Maybe for yourself if you've gone through a loss or those that you've found have been helpful in understanding other losses. I would love for you to share in the comments because I'm creating a PDF document that I will have for you to download for free and you don't have to enter your email or anything like that You can download it for free and I'll constantly update it with any new useful information that I find that it will be helpful for parents and their support systems. And so please share those below and you know I--you know, it's a challenging time and I think it's always important that we make sure that we are caring for ourselves so that we can care for others. And so make sure that you're taking time for yourself. And until next week, you guys, take care.